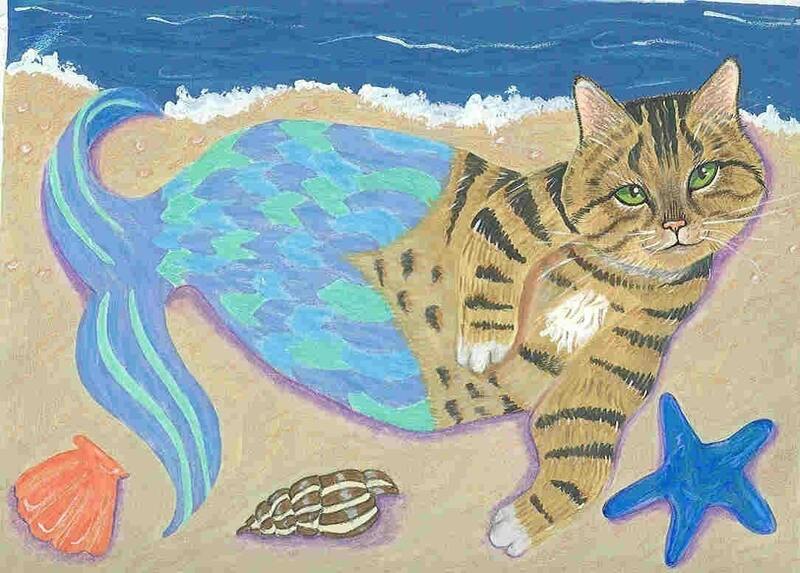 Sandman is another of my kitties in my "Purrmaid" collection. Here he is lying on the beach with his collection of seashells! Super fast shipping and super cute card!